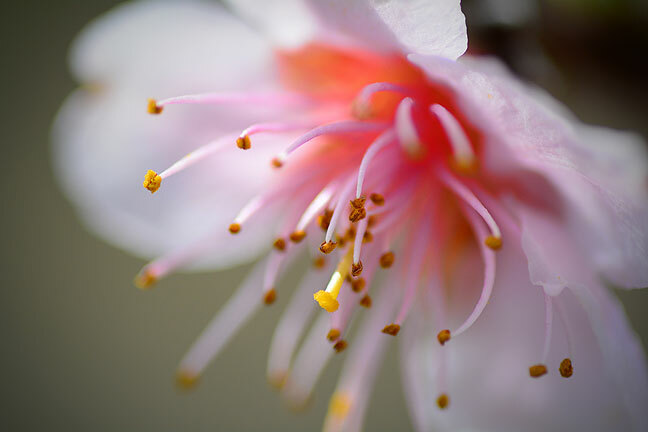 To me, there are few things as beautiful as the elegant, intricate, delicate process of the awakening of spring, illustrated by this blossom on one of my peach trees. I know I probably bore my readers every year at this time with my whimsical amazement at the changing of the seasons, but hey, if I want to be impressed with nature on our little green patch in the country, I will. Abby’s redbud in the front yard is only starting to bloom; in a week it will be amazingly beautiful. This morning I went out to the garden to see if it was too wet, from recent rains, to till the garden in preparation to put in tomatoes, peppers, cucumbers and cantaloupe. It is still too wet, but might be dry enough tomorrow, at least until more rain rolls in tomorrow night. My personal grammar Nazi always notices what I think is misuse of the word “till.” To “till” is to use a blade or other device to cut furrows in the soil for planting. If you intend to abbreviate “until,” it is spelled “’til.” Sadly, if you look it up, “till” has become a common usage abbreviation of “until.” Just because people are stupid enough for long enough doesn’t mean I have to accept it. This long view shows some of the trees in my orchard, may of which are blooming. With a little luck, I’ll have some nice fruit by summer. 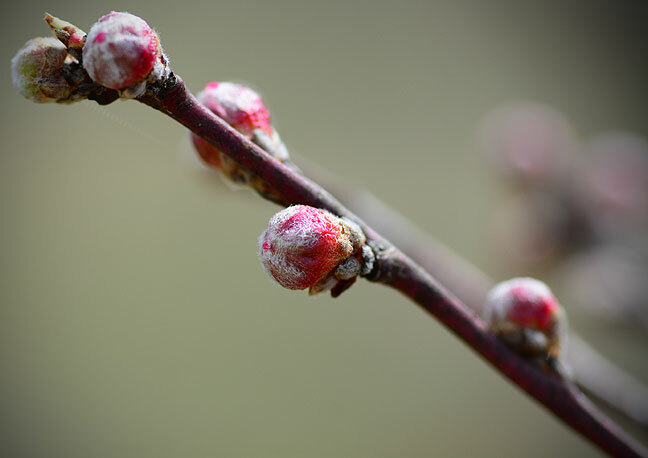 While I was at the garden, I noticed that most of the fruit trees I pruned last month were blooming. This came as a pleasant surprise because when I was pruning, I saw that some of the trees were trying to bloom then, too early, and the blossoms were about to be destroyed by a freeze. 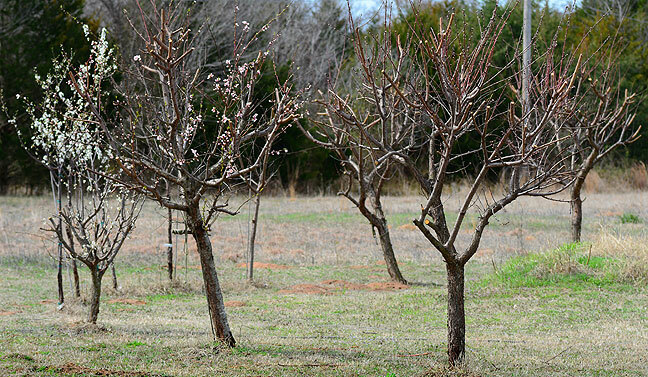 Different varieties of peach trees bloom at slightly different times, like this one that is just starting to show blossoms. The air today is soft and warm, and there is a nice breeze out of the south. It is almost spring. 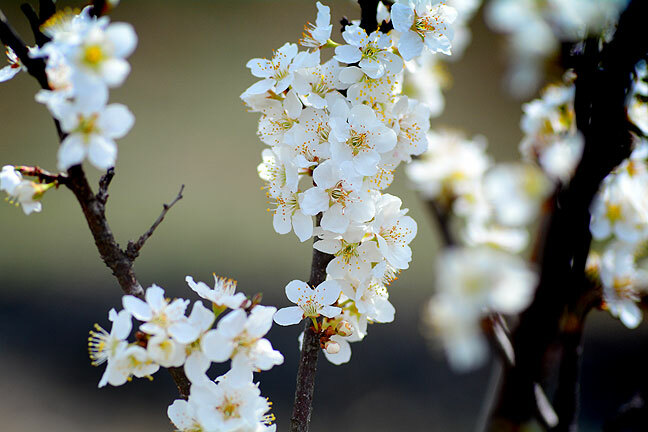 These are blossoms on one of my plum trees. From a distance, they look like popcorn. I know just what you mean. My green beans sproinged this very morning and our old poinsettia is trying to sprout! I love springtime! Beautiful photos. What lenses were you using? Meant to add: we put in tomatoes, cucumbers, bell peppers, and green beans. Since I won’t be able to tend to anything this year, we’re just going to let them go naturally and see what happens. My guess is that we’ll have our best crop ever, because irony. Like you, I’m always fascinated by the changing of the seasons. I always bristle a little bit when someone implies “talking about the weather” is a shallow conversation. Yes, the ’til/till thing is something I’ve battled in the past. Unfortunately, it’s one of those parts of language that’s going to change whether I like it or not. Like how “cell” now means “phone”. Sigh.